Performance x Performance x Performance = !!! 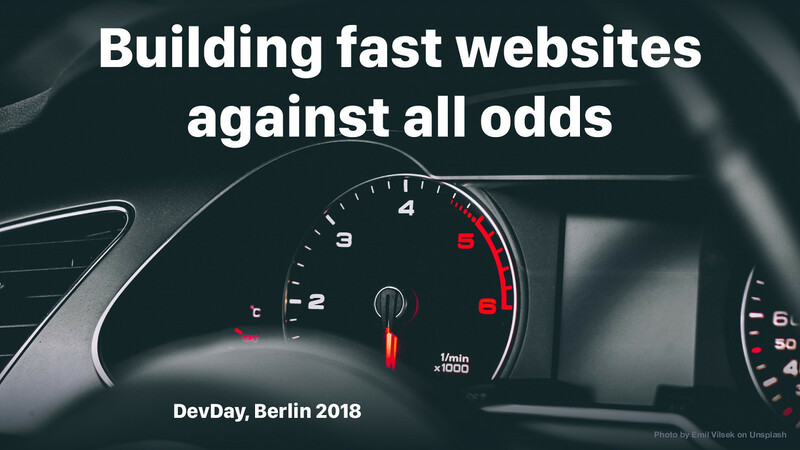 Why don’t we just build fast sites in the first place? Sync vs Async vs Defer s t ill v aluable ! to be avoide d! What about Dev Day 2018? View Building Fast Websites Against All Odds on Notist. We may not be able to make the fastest website without permission, but we can certainly make a fast one!